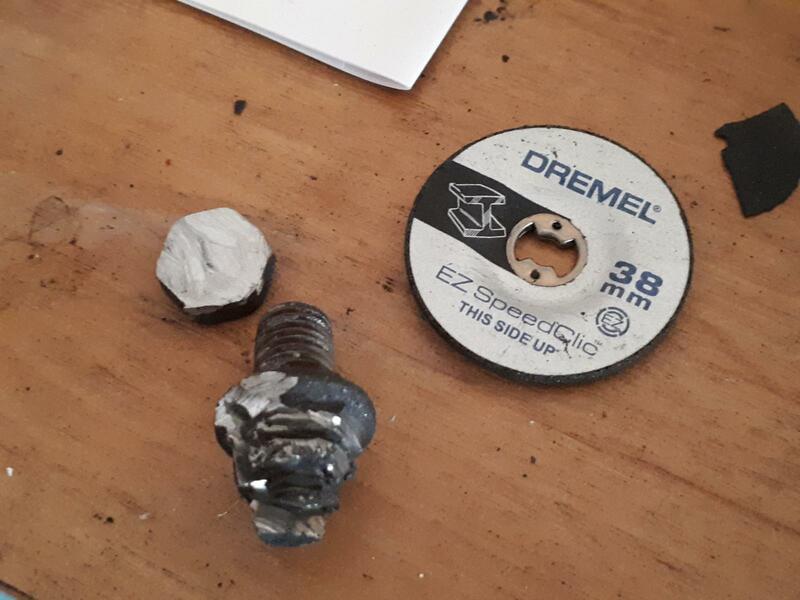 A dremel with the small cutting disc is ideal for fixing* rounded off bolts. I use mine all the time for that very job! All I'd say is, the tiny discs are really brittle and explode into a million bits if you catch them on something - definitely wear goggles! Yeah there is a bit of a knack to it, you need to go quite slow because the discs are very thin and too much pressure will just shatter them. You will go through a few on a job like that, luckily the discs are very cheap, think I paid less than 2 quid for a pack of 10 from either toolstation or amazon. To remove the stubborn exhaust bolt I bought a £25 VonHaus rotary tool, and splashed out £15 or something on several different Dremel branded cutting discs as the ones provided were inevitably shite. I only broke one of them so wud rekomend. Got them from Homebase. So having a few days off work, yesterday I managed this. 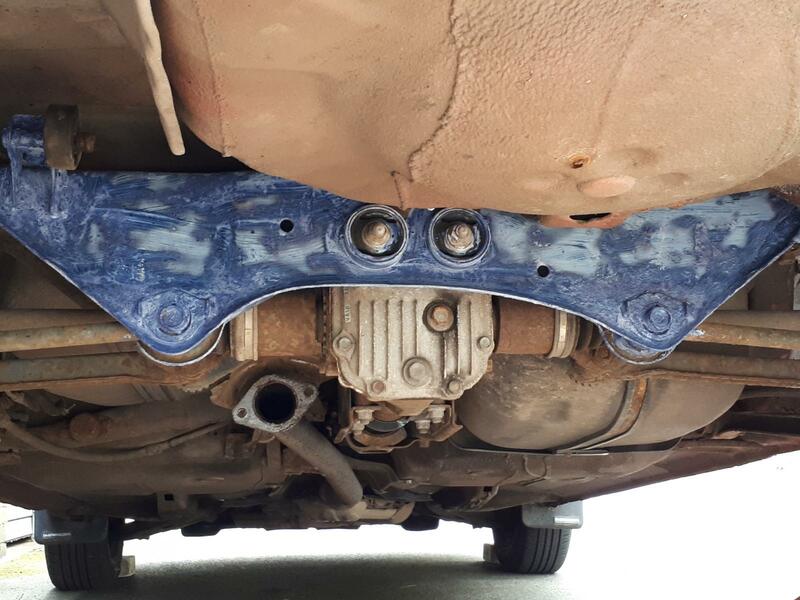 The old one was a genuine Subaru part, and has had its use. Typically the cheap new one wasn't a great fit, with the hanger fouling the sub-frame when I tightened the bolts due to being welded on the wrong side. So heat and bendage made it OK, but it's miles away from the rubber, and I can't do anything about that. Whilst up on ramps I also took the opportunity to Vatcan the sub-frame. I'll do the rest when I have more time, as it's a bit crusty under there. No oil leaks from the diff though. 6 flippin' hours in total over two days to get to this. Those of you more skilled are probably wondering why TF did it take him that long. Me too actually. Although stating the obvious, having the correct tools to start with really does help. I almost forgot to check the MoT basics, but a good job I didn't as a side light was out. A trip to the MoT this morning yielded a result, so that makes it all worth it. I'd be a bit miffed if it failed on something piddly, and it also saves the faff of going back for a re-test. The tyre place I use is only 300 yards from the MoT place, so I thought I'd check on the slow puncture on the OS rear. The guy noticed a small nail which I'd missed, but it was too close to the sidewall for a repair. I'll get a new tyre next pay day. 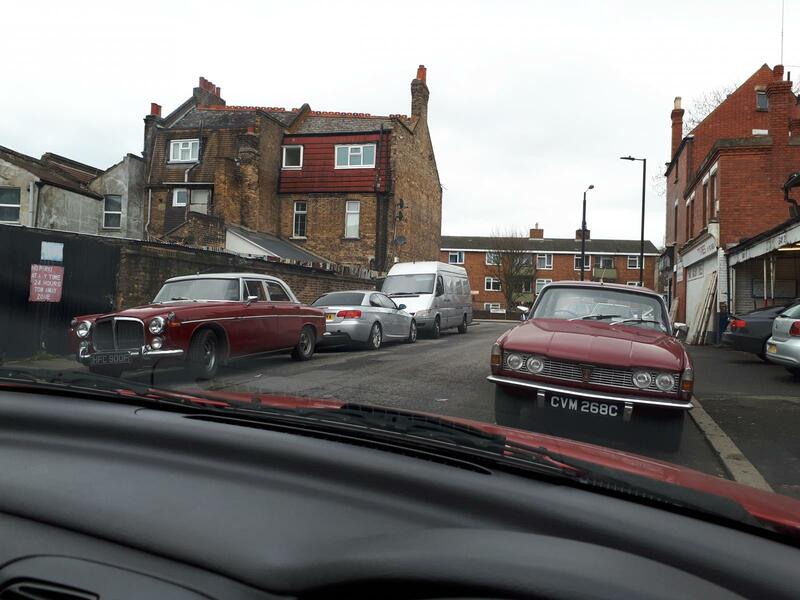 These two were also parked up by the tyre shop. I've spotted the P6 before but the P5 is new. So on the whole a good couple of days with actual progress! Top jobbing there and congrats on an easy MOT pass! Nice work. 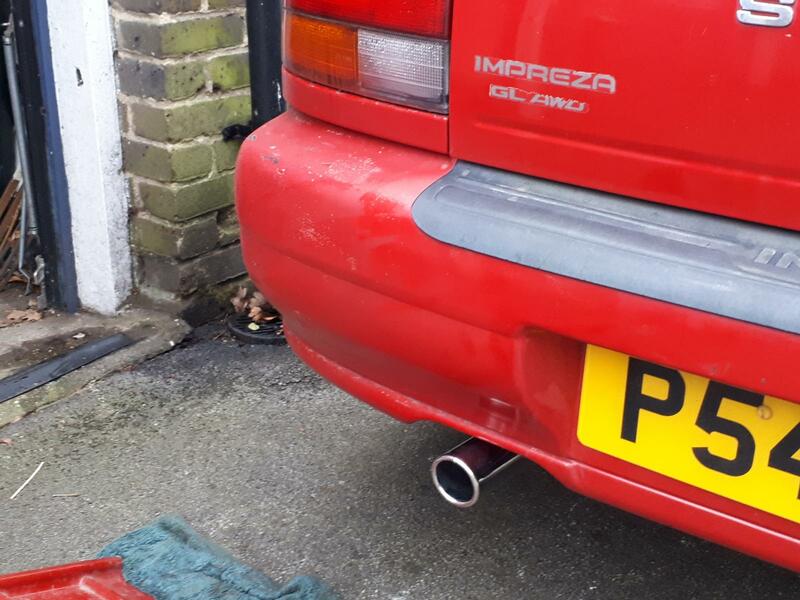 The exhaust thing maybe because its for a newer model, bugeye shape impreza back boxes are the same except that hanger points somewhere different. I know dis because I fitted a Prodrive backbox off a bugeye to the now duganabe corporation Impreza, just left that front hanger unattached and he's yet to slide in my DMs swearing at me because the exhaust fell off. Good to see it getting some love I would probably still have it if only it were a bit larger. Congrats on the MOT pass! Anyone who can wrestle an exhaust into submission at home rather than in a garage on a lift gets maximum respect from me! 14/10. I think that's it Dave. I spent a while staring at eBay listings trying to ensure it was the right part, but hadn't noticed the different hanger position. I was more obsessed with getting the kink correct so the pipe cleared the sub-frame. Seems to be secure enough so I call that job done! It's worth knowing which bits are the same as "classic" shape bits seem to go for a bit more due to OMG Colin McRae tax, the bugeye was only a facelift really and lots of the stuff underneath is the same. I think I had a link to a list somewhere, will post it up when back on a PC if it's still there. 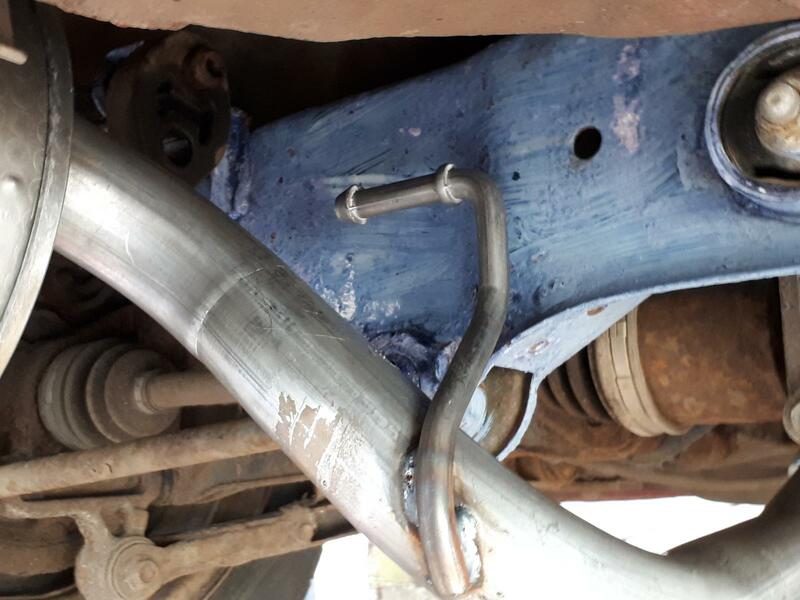 The exhaust is pretty well supported by those 2 back hangers and maybe 2 or 3 more on the middle bits so it'll be fine. Top work all round. You can enjoy it for a bit now. Nope, that's another tool that I could do with. I did try using a junior hacksaw, but had about 5mm of movement so gave up pretty quickly. It was also getting dark and my work light ran out of charge, so I took that as a sign to pack up and go in for my dinner! To stop the ramps skidding backward tie some nylon rope to them. Long enough so the non ramp wheels rest on them as the car moves onto the ramp. Excellent work there, that Dremel disc looks handy. The discs are very good. I only broke one of them, and that was more down to my novice cack handedness than the tools being shite. I hate doing exhaust work with a passion. I have this to look forward to on the van soon, with the added bonus there that the system probably weighs as much as I do. Could be worse, could be the Saab. Not sure why, but the exhaust on classic 900s always seems to be an utter pain to deal with...have done battle with them on at least five cars and it's always been a fight from start to finish. Reckon stainless will go on the van so I don't ever need to worry about it again! Not entirely sure I should do this, but equally I don't really need two medium sized automatics. So there's elements of that twattish 'just testing the water' phrase in this post. 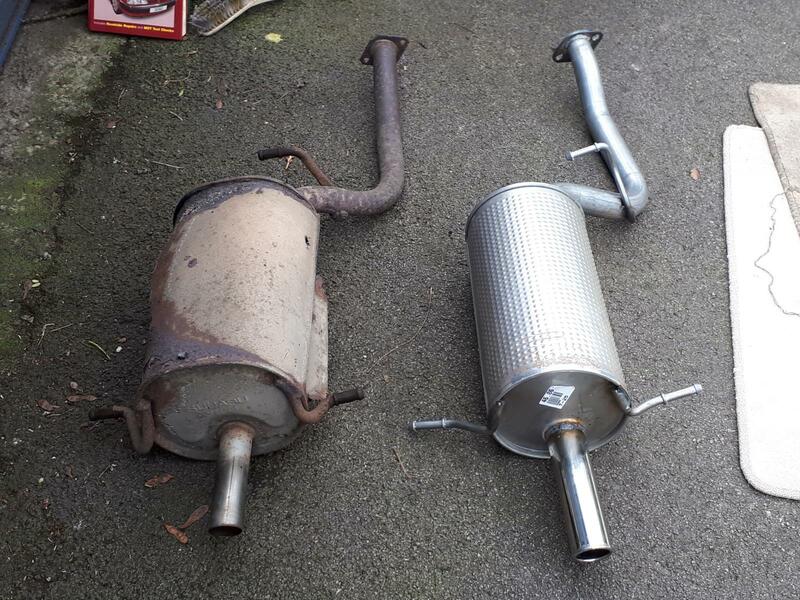 New rear exhaust (saga above) and CV boot for the recent MoT, new spark plugs in February, and I've just changed the oil and filter and the rear diff oil (Mannol 75w 90 fully synthetic). Bodywork is a bit scruffy in places, with some lacquer peel and a few scrapes, and the underneath could do with more wire brushing and Vatcan treatment. I'll do this in the summer should I end up keeping it. Issues include the high idle on cold starts which soon settles down, with some fast idling/surging happening intermittently when warm. Since cleaning the IACV it is much better, but it's still an annoying issue. I'm sort of used to it now, and it's more evident in traffic than on the open road. So if you're a rural dweller you won't notice it so much. Rear OS tyre has a nail in it that can't be repaired, and loses around 10psi a week. Again, I'll get it fixed eventually should it stay with me. Also there's a squeal on start up that soon calms down. PAS pump, alternator? I've not checked it out fully TBH. Interior is in good condition, seats are comfortable, original Subaru floor mats and plastic boot liner, and despite being an auto it's good fun to chuck about when the POWER mode is engaged on the 'box. Heater is excellent. Fuel consumption is woeful, TADTS apparently . I always seem to be putting fuel in, but the tank is also relatively small (50 litres I think). I paid skattrd £350 for it, but have since got it MoTd and done a few jobs, so hopefully the price seems reasonable. 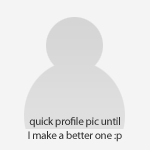 I'll get some recent photos l8r. Wait a few more months then put it up for sale as an ideal WBoD? AWD so it obviously grants the power of invincibility in snowy conditions. That seems ridiculously cheap man. I bet £5 that this sells today! When are you collecting it? I drove this 250 miles today, and it provided warm, comfortable transport. I even managed to eke out 33-34 mpg. Logic dictates I should probably keep it, but buying fever has hit again so I'll leave the for sale tag on for now. Oh ya bugger. I presume this is physically longer than a Dolomite which is 162". I'm sorely tempted to buy this back, it's a cracking motor, but I really fancy one with a turbot. PBK - Google the specs it's quite a compact estate. Nothing I have is mate. I will just avoid. Bugger, although the length is okay, it's too wide compared to the benchmark Triumph, I could get it in but could not get in the car. Push it in, pull it out.